Evil forces threaten the blue ark of Earth. Change is coming, but will it be for good or bad? 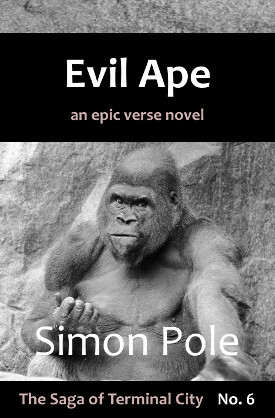 Of history’s relentless march partake, in Evil Ape. The latest installment in The Saga of Terminal City is now available at your favourite ebook retailers. All contents © 2011-2017 Simon Pole. Reading icons by Double J Design. Angel image by R Barraez D'Lucca.